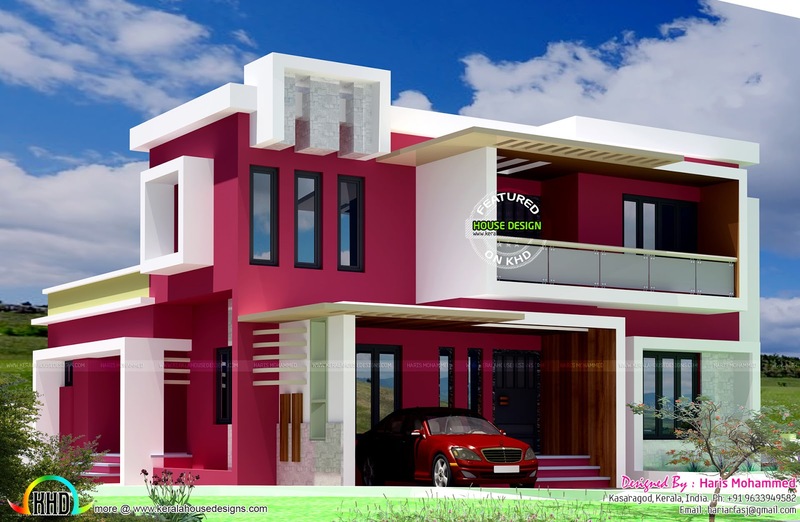 5 bedroom box type contemporary house plan in 2498 Square feet (232 Square Meter) (278 Square Yards). 2 bedrooms placed on the ground floor and 3 on the first floor. Designed by Haris Mohammed, Kasaragod, Kerala. Ground floor : 1332 Sq. Ft.
First floor : 1166 Sq. Ft.
Total Area : 2498 Sq. Ft.
0 comments on "Box type contemporary home"